We have some exciting news to share about the upcoming football season. We have found a new home for our game day gatherings! Unfortunately, our long-standing game day venue, Hi-Tops 10 & ½, was sold and can no longer be used. 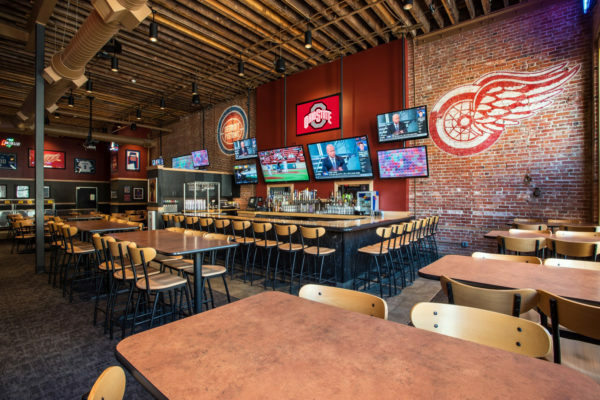 Beginning Sept. 1, we will be moving our Scarlet and Gray Saturdays to Buffalo Wild Wings in Detroit. Buffalo Wild Wings in Detroit is located at 1218 Randolph Street, Detroit, MI 48226. There are multiple options for parking including metered street parking, street parking using the ParkDetroit mobile app and surface lots around the venue. In addition, it is only a 5 to 10-minute walk from the Greektown Casino parking garage, which usually has free parking. We look forward to an exciting year of Ohio State football and we are excited to see all of you at our new location. If you have any questions please reach out to our Game Day Chairman, Josh Eley at josheley55@hotmail.com. Due to unforeseen circumstances, our spring banquet scheduled for May 11 has been canceled. Please contact detroitclub@osu.edu with questions.